My daughter is dual enrolled in a chemistry course this fall at the local community college. As a junior in high school, she has had her goal of becoming an environmental engineer for many years. 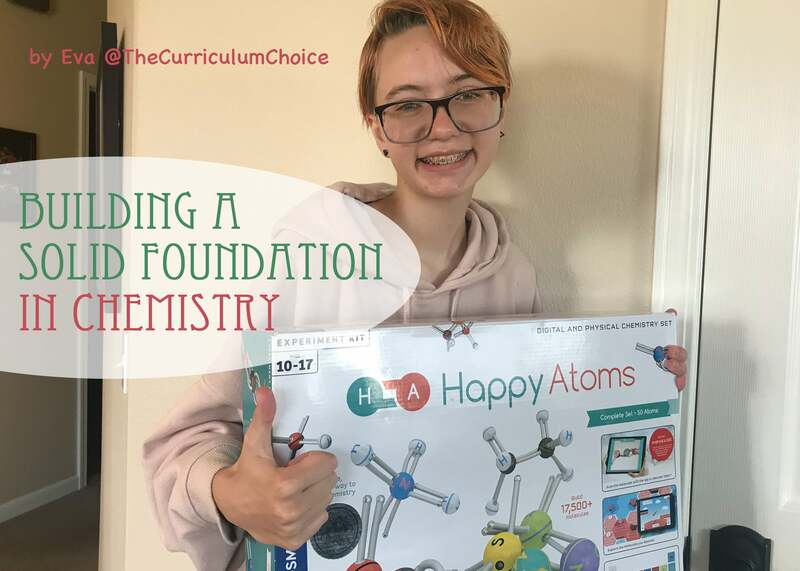 As her brother is just now beginning his high school years, I wanted to provide each of them with a firm foundation in chemistry this summer. Though we had previously done a little exploration in chemistry in a STEM Co-op, I knew I needed to up the ante, so to speak, to assure their success in advanced science courses. When I need to replenish chemicals or purchase science tools for lab activities for our homeschool, the first place I turn to is Home Science Tools. I love that their lab kits are customizable. I can buy just what I need; I’m not obligated to purchase a kit full of components that I already have in my supply room or kitchen pantry. I was given an opportunity to review these products and was compensated for my time in preparing this post. As always, all opinions are my own. This post may contain affiliate advertisement links to 3rd party sites. I am very excited about the new unit I am putting together. With the new products I have discovered at Home Science Tools, I know the course will be exciting. Come along – I’ll guide you through a few of the chemistry lessons I put together using the new materials I was provided in exchange for my review. When chemistry was yet a new science, there was no system for naming compounds. The common names most are familiar with – quicklime, Epsom salts, milk of magnesia, and laughing gas, for example – were coined by early chemists. As the science grew, the need to develop a better system evolved and chemists now call these compounds: calcium oxide ( CaO ), magnesium sulfate – ( MgSO4 ), magnesium hydroxide – ( Mg(OH)2 ), and nitrous oxide ( N2O ). After learning the system, a chemist should be able to name the compound when provided the chemical formula. Conversely, given a compound name, a chemist should also be able to construct the chemical formula. So, how do we know what it is called? Laying a foundation for success, let’s focus on the inorganic compounds, beginning with binary compounds – compounds that are composed of two elements. A binary covalent compound is composed of two different nonmetal elements. For example, a molecule of chlorine trifluoride, ClF3 contains 1 atom of chlorine and 3 atoms of fluorine. Rule 1. The element with the lower group number is written first in the name; the element with the higher group number is written second in the name. Exception: when the compound contains oxygen and a halogen, the name of the halogen is the first word in the name. Rule 2. If both elements are in the same group, the element with the higher period number is written first in the name. Rule 3. The second element in the name is named as if it were an anion, i.e., by adding the suffix -ide to the name of the element. Rule 4. Greek prefixes (see the Table provided at the bottom of this page) are used to indicate the number of atoms of each nonmetal element in the chemical formula for the compound. Exception: if the compound contains one atom of the element that is written first in the name, the prefix “mono-” is not used. In each example, the cation is named first, and then the anion is named. Many metals, however, form more than one type of positive ion and thereby form more than one type of ionic compound with a given anion. These ionic compounds are indicated by a Roman numeral that specifies the charge on the cation. For example: Fe2+ is Iron(II) and Fe3+ is Iron(III). 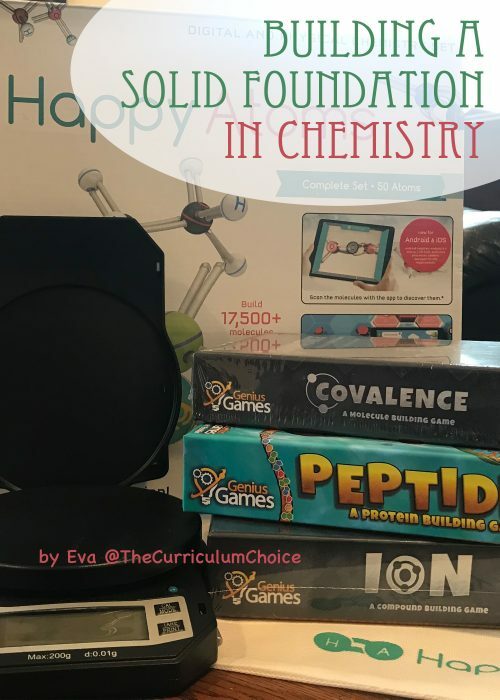 We were very excited to explore these chemical structures named above and many others with the aide of the Happy Atoms Complete Set from Home Science Tools. Happy Atoms is more than just a model kit. 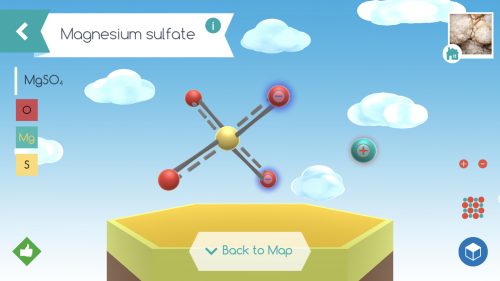 It is part digital educational app, part physical modeling tool for teaching chemistry. It is perhaps the best system I have used for modeling chemical compounds. 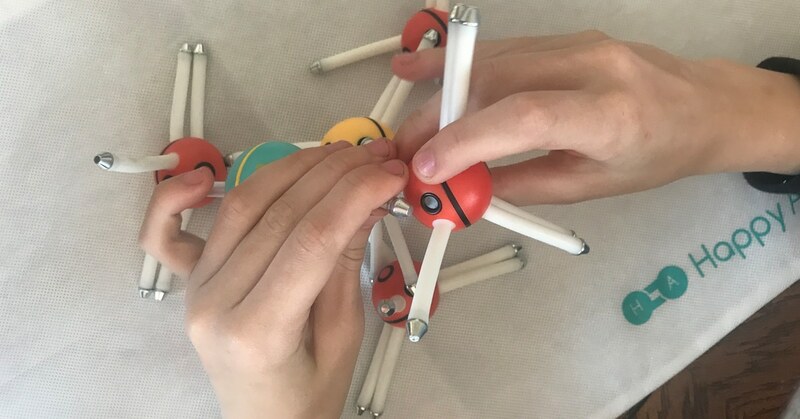 Sixteen different elements are represented and the unique features of the physical components (flexible, outer arms and magnets) allow students to create models of double bonds, and even triple bonds as well as both ionic and covalent compounds. The digital app is user friendly and allows students to learn facts about the molecules they put together including the composition, systematic name, and how it exists in the world but just a tap of the different icons. Assembly instructions for specific molecules are also accessible as well as a Periodic Table of Elements. I know this set is going to provide us many hours of exploration and be a resource we return to again and again as my daughter progresses through her college level chemistry course. Join me again as I walk you through lesson plans and activities to explore both Ionic and Covalent Bonds.